Starbucks will soon release an update to its iPhone app which will have a fresh design geared for iOS 7 for customers in Canada, the US and UK at its release, set for March 19. Also new is a digital tipping feature set to debut in the USA first, reports CNET. 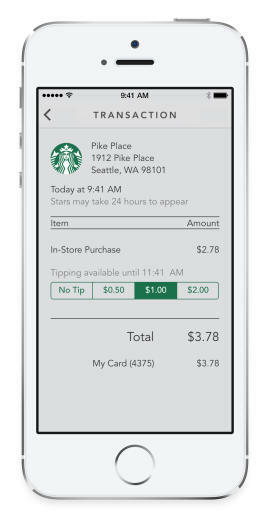 Starbucks Chief Digital Officer Adam Brotman says the tipping feature will allow customers to add denominations of 50 cents, $1 or $2 to their bill in the USA first; he did not elaborate a timeline when other countries would get the feature. Canadians had to wait 13 days for their Starbucks iPhone app to receive Passbook support. Brotman says 5 million mobile payment transactions are made per week amongst their iPhone app, Passbook (on iPhone), Android and Square Wallet. A new featured called “Shake to Pay” will enable customers to quickly bring their barcode to the front when paying (great idea). When asked about the company’s earlier security issue in regards to its iPhone app storing passwords in clear text, Brotman reassured the new app is secure and reiterated no credit card or payment info is stored on devices; he also stated the app had been audited by third party companies for security. 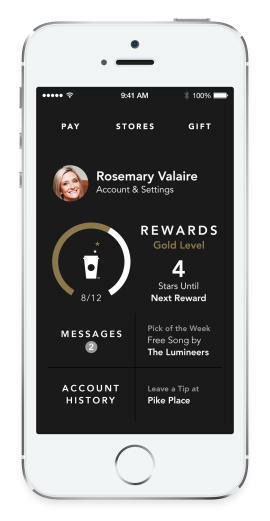 Starbucks junkies, get ready for this update coming next week. It sounds like a good one.